New logos, win or lose? 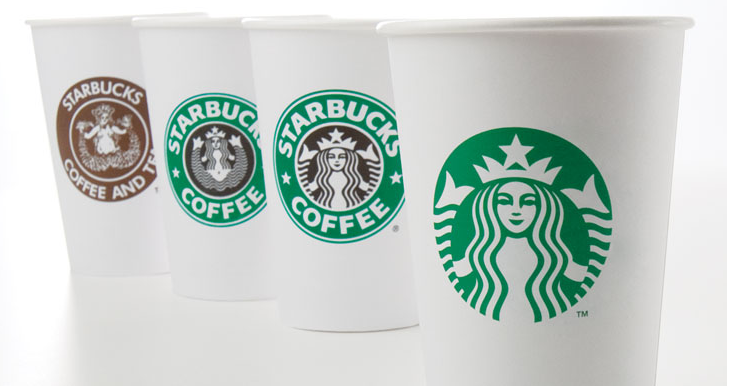 The ‘Siren’ has been part of the Starbucks identity since the company launched in 1971 and this latest redesign ties in with their 40th anniversary. The new logo essentially takes the siren out of her ringed frame, removes the font and one color. Although I was initially turned off by the removal of the typography, seeing it applied to various merchandise all over the store had me impressed. The ‘Siren’ really says nothing about coffee, but is that an issue at this point? The change is simple—yet effectively invigorates the brand. Changing the logo is understandable. It was in need of a mark that scaled better and could effectively show up translucent, in the bottom right corner of your television. What we got is one dimensional, two-color imitation of every corporate, facebook-looking garbage out there. This double “C” logo with the upside down “Central” is suppose to be whimsical? You would hope that a major network could get a agency to create a thoughtful design, that would convey the content on it. Be fun, playful, and push the envelope with a big “F” you to the world. Mundane. Shameful. Conservative. Boring. Comedy has just lost it’s character. This is the perfect example of a excellent mark, with a couple of bone-headed choices that ruin it. The new logo is a contemporary departure from the original quirky, American fast food chain logo. The new custom script over a dimensional box is quite attractive and dynamic. It also seems to reinforce their hilarious tv commercial campaign, with the tail of the “k” conveying a smile. Were it loses, is in the “techie” lower-case font for “in the box”. This font has no place in a food restaurant. To further exacerbate it, another big offender is placing it on a cool grey web 2.0 field. As I travelled all over Southern California, this continued to bother me. 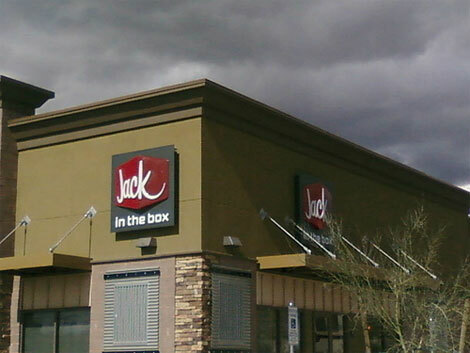 With every fast food restaurant chain almost all in “red” I felt that a blue field would have made it stand out, while reinforcing Jack even further. Too bad, with a mark that help class it up beyond American junk food, a couple of changes would have made it a great success. With how widespread the expensive store renovations have gone, the time to “tweak” is long over.